Here is a Kite craft that you cab make by upcycling the gift wrapping paper that came with presents. Don’t you just hate throwing away all that prettiness? I always store gift wrap to reuse later. You know how kids love the boxes more than what it holds? That holds true for the covers and bags too! My children love gift wrap. May it be paper or plastic, it is fun to decorate and even more fun to crinkle it to make noise! 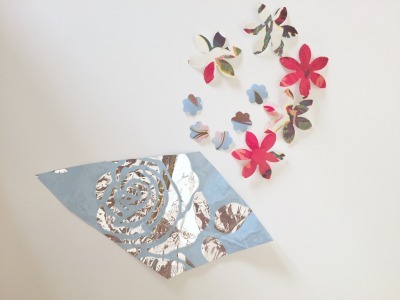 We have use it in a variety of ways like kids craft or reusing to wrap smaller gifts. I’ve even used it to make an origami box. With kids in the house, we are always discovering more ways in which to use these to learn or play. As part of a monthly challenge, I’ve joined a group of bloggers this year to play around with recyclable and reusable materials. We are calling it Project Recycle. 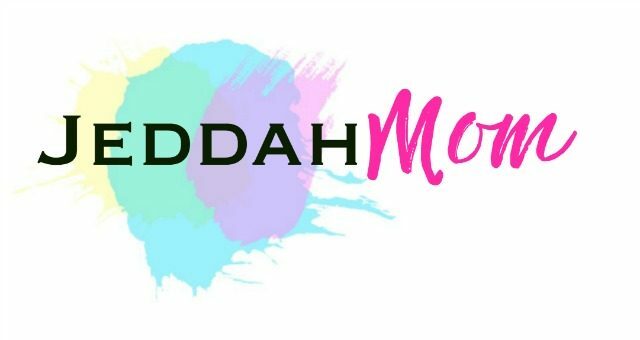 Every month we choose a material and then we play around with our children to make crafts or do activities involving the chosen material. This month, we are using Gift Wrap. I’ve included the links below of what others have made using it but here is what we did. January is Kite season in India, so we chose this theme. My children have been crazy about my flower punch set that I got a last year. We are always looking for more ways to use them so this is what we did. 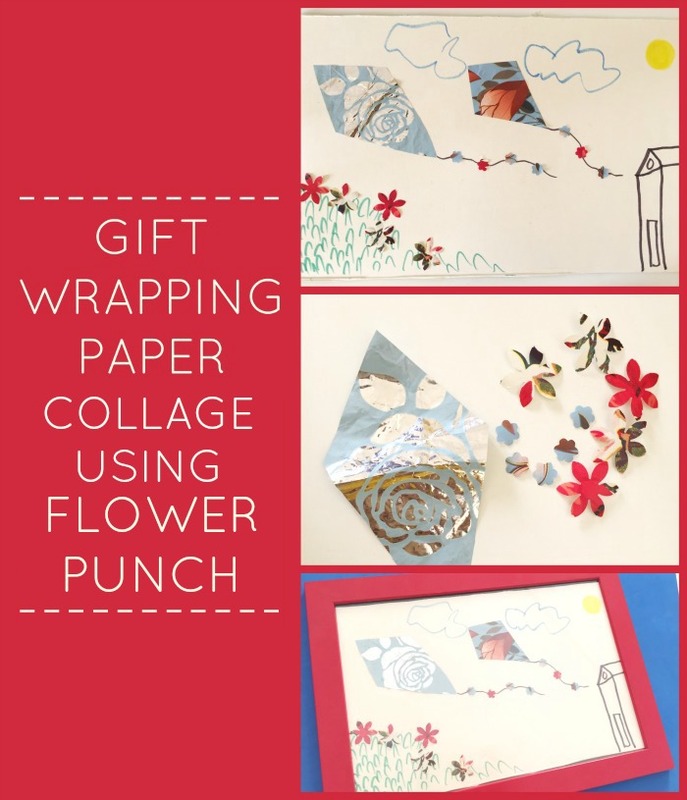 I got my 3yr old and 8 year old to make a collage using these flower punchers and wrapping paper. This activity is pretty simple to put together and you don’t really need to give your child instructions. Let them use their imagination to make their own art. Of course, you will need to supervise this activity because there will be use of scissors and punchers among other things. I had two toddlers working with me on this along with my 8 year old and I have to tell you, it was not stressful at all. (Okay so the 2 year old has a mind of her own and she was more interested in the tools than using them but…) We all sat down working with our own material and I guess that minimized the need of sharing. Please note: Some of the links in this post are affiliate links. That means, if you buy through my links, I may earn a tiny commission at no extra cost to you. Read more about affiliate links in my Disclosure. Thanks. 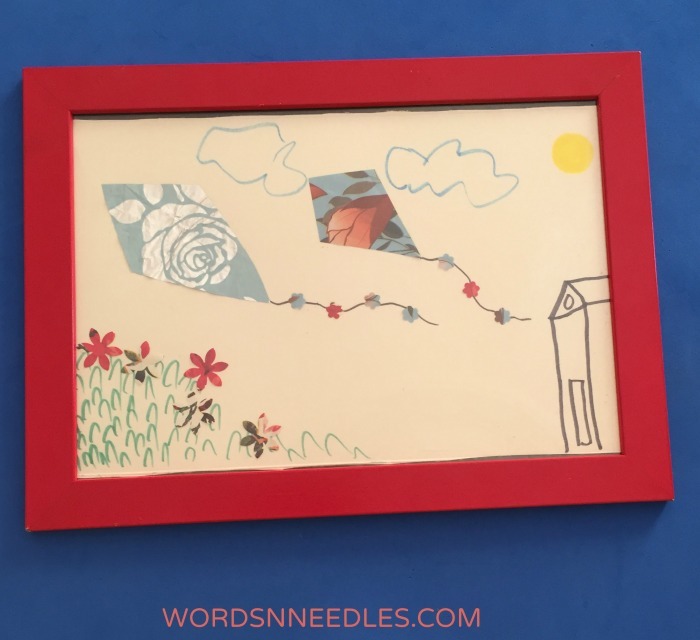 Here is how to make a Kite themed collage using gift wrap and flower punches. 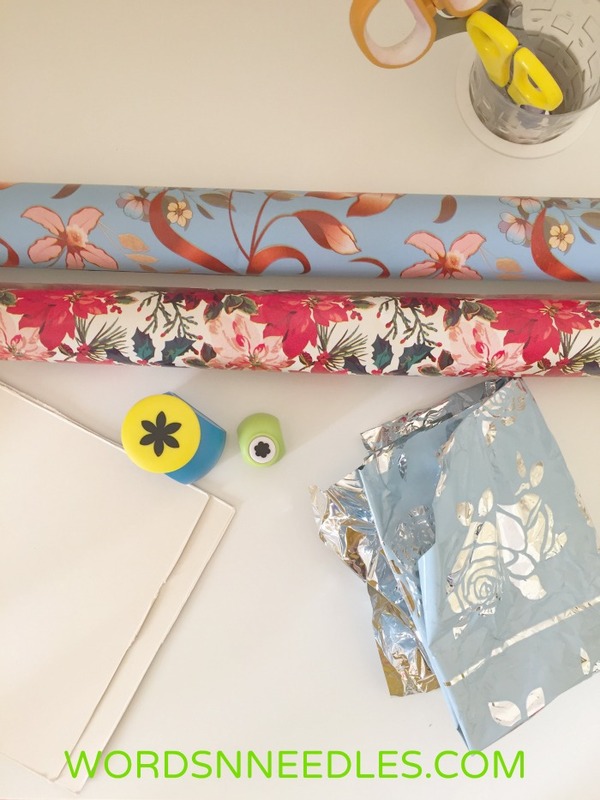 Gift wrapping paper in whatever material you have. Any other material like buttons or yarn to decorate. Color markers sketch pens color pencils etc. Card stock or Cereal box card to hold it all together. Cut out large squares of gift wrap to make it easier for your children to work with. Show them how to punch. You can teach them to cut out shapes with the remaining waste. Cut out different Kite shapes with the gift wrap. Assemble it all on the card. We used a cereal box card. You can frame it or hang it up as it is. I hope you try this fun activity with your children. Go ahead and make your own Gift Wrapping Paper Collage. Follow us on Facebook for kids activities or subscribe to our newsletter below! How to make a Ice cream Stick Glider. How pretty! I just love paper punches. I have a heart-shaped one that would be fun to try with scrap gift wrap, too!